German electronic pioneers Modeselektor have been shaping the underground music scene since the early 00s thanks to their genre-melding productions, helping to change the face of club-ready sonics with every envelope pushing release. Returning this year after a creative period performing alongside Apparat as Moderat, Modeselektor today release ‘Wealth’, a brand new single featuring one of London’s most exciting rap talents, Flohio. Opening to rumbling low end and glitched drums, ‘Wealth’ plunges into a sparse mid-tempo percussive line, offset by Flohio’s authoritative delivery. 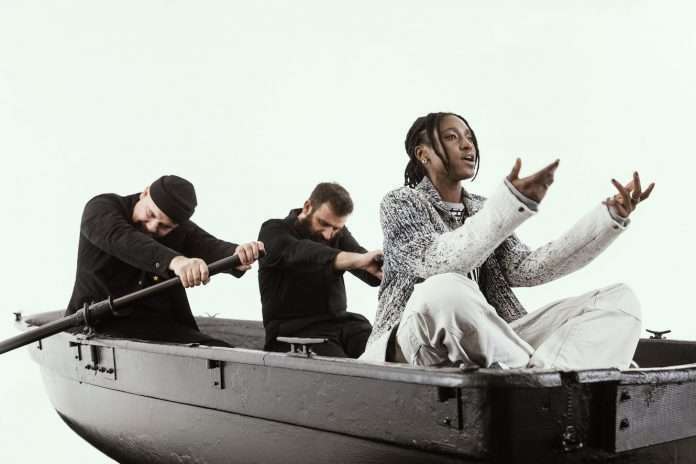 Making way for cascading rave-influenced synths, Flohio’s aspirational lyrical content provides the perfect fusion of London’s ferocious rap stylings and Modeselektor’s progressive electronic eclecticism for a collaboration that is due to make as much noise emanating from superclub soundsystems as it is from car radios in the coming months. The track’s Pfadfinderei-directed visuals also feed into ‘Wealth’’s exciting blend of styles, with Flohio performing the track alongside the duo set to a background of pixelated animation, bringing together the perfect juxtaposition of real world and glitched-out digital environments. A stunning collision of worlds, ‘Wealth’ pairs the sounds of two acts that on first glance may seem completely separate, but are both trailblazing, incendiary, and completely dominant in their own field. A completely singular prospect in both composition and execution, ‘Wealth’ embodies an astounding first collaboration from a group that have stated their career on deconstructing trends to create something wholly unique, and an artist that who has spent the last year making headlines for relentlessly defying expectations. To celebrate the release of ‘Wealth’, Modeselektor have announced their return to the live stage. Beginning in February, the duo will set out on tour across Europe and North America, bringing their critically acclaimed live show to audiences, once again proving why they’re lauded as one of electronic music’s most essential entities.